It is no secret the tenure of Oakland Raiders head coach Jon Gruden has gotten off to a rough start. It is safe to say that his personnel decisions have only added salt to the wound of Raiders fans everywhere. Gruden has never been short of confidence. However, it is safe to say that even he is being a bit optimistic after what has occurred in the 2018 NFL season. 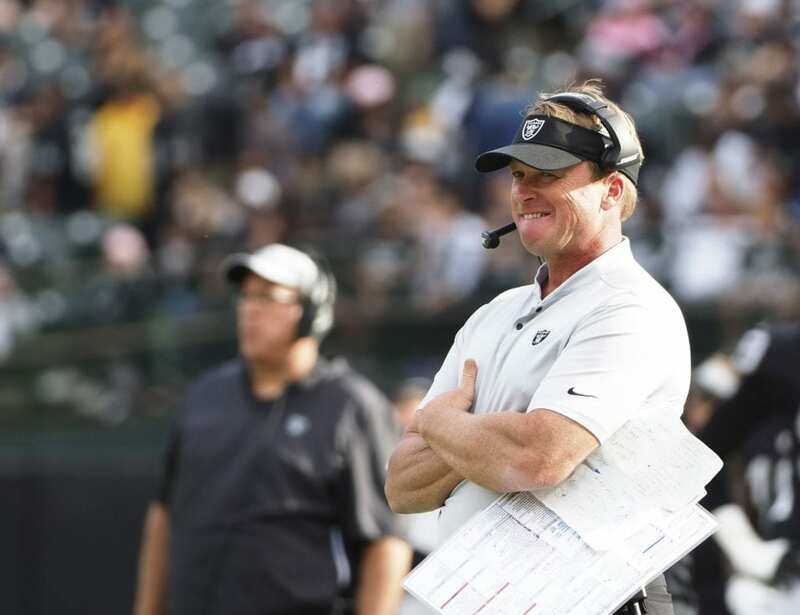 The Gruden era was supposed to be a revival of sorts in Oakland. He declared they had unfinished business from his first stint with the Raiders. Unfortunately, this season has been nothing short of a nightmare. Things got off to a tumultuous start when he traded Khalil Mack to the Chicago Bears. To make matters worse, it has become apparent the team is in desperate need of a consistent pass-rush. In addition, among his notable claims, Gruden was most looking forward to getting Carr back to Pro Bowl form. However, he has hardly looked the part of a legitimate franchise quarterback this season. That said, the Raiders will need to start showing some signs of life if Gruden hopes to vindicate the faith of this fan base in the near future.